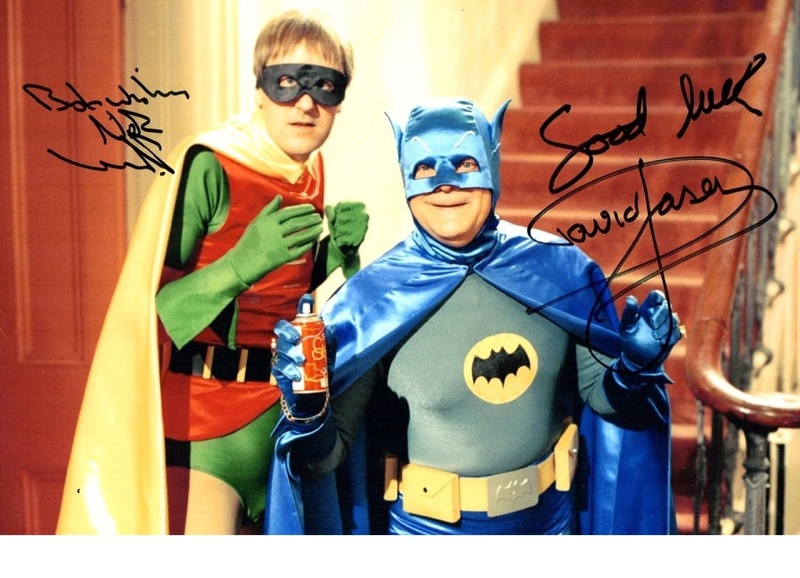 Only Fools and Horses DAVID JASON 'Batman & Robin'signed x 3 photo. A stunning cast signed 8" x 12" inch photo. This is a piece of TV history, and one not to miss ! An iconic moment, as seen on the UK's TV most popular ever comedy series. 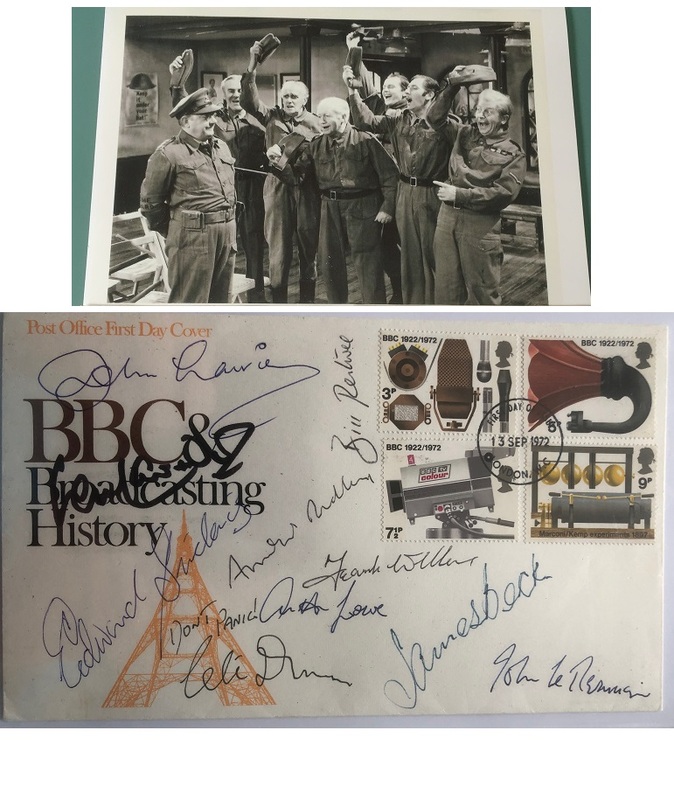 Very hard to get one of these signed by both David Jason, and Nicholas Lyndhurst. David Jason (Del) - adds "Good luck"
Nicholas Lyndhurst (Rodney) - adds "Best Wishes"